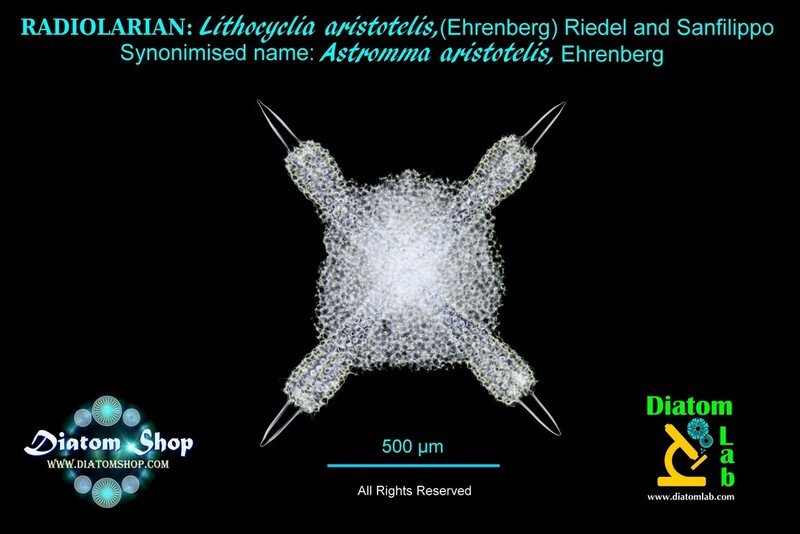 Diatom Shop offers both arranged and strewn Radiolarians for sale. 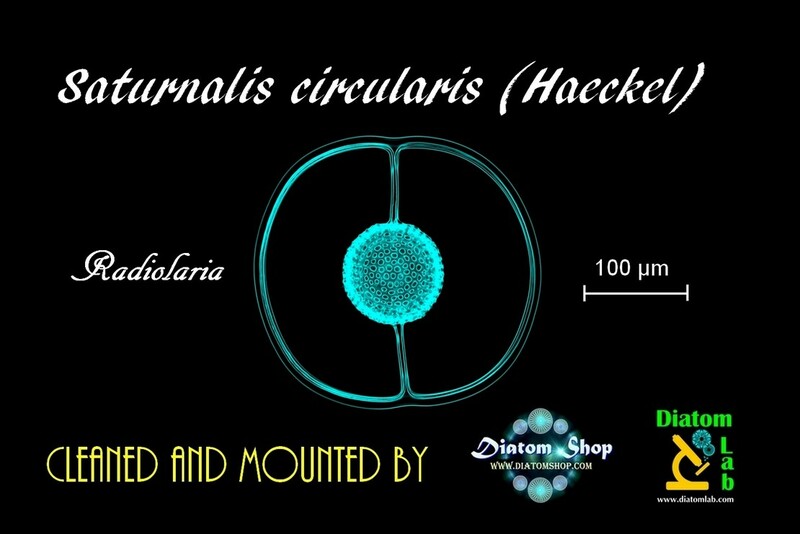 Diatom Shop ensures that diatoms and radiolarians will never change their original position (for example, during shipping or storage) thanks to Diatom Lab's special techniques and mountants! Please notice the extreme cleanliness and contrast of Diatom Shop's microscope slides by watching the microscope videos you find in this website. Diatom Lab's self-produced mountants and fixatives are really invisible even in Phase Contrast, Darkfield illumination and Differential Interference Contrast (DIC)! All microscope slides are made in Diatom Lab's internal laboratory by Stefano Barone (microscope slide preparer, science educator and scientific photographer): the products offered are professionally prepared, moreover a lot of money, research and technology have been invested to realize and keep alive this company! The German naturalist, artist and philosopher Ernst Haeckel (1834-1919) with the publication of his most important work, "Kunstformen der Natur" series (in English: "Art Forms in Nature") beginning in 1899, brought the intrinsic beauty of microscopic Radiolarians to the public through his scrupulous and exquisite watercolors. 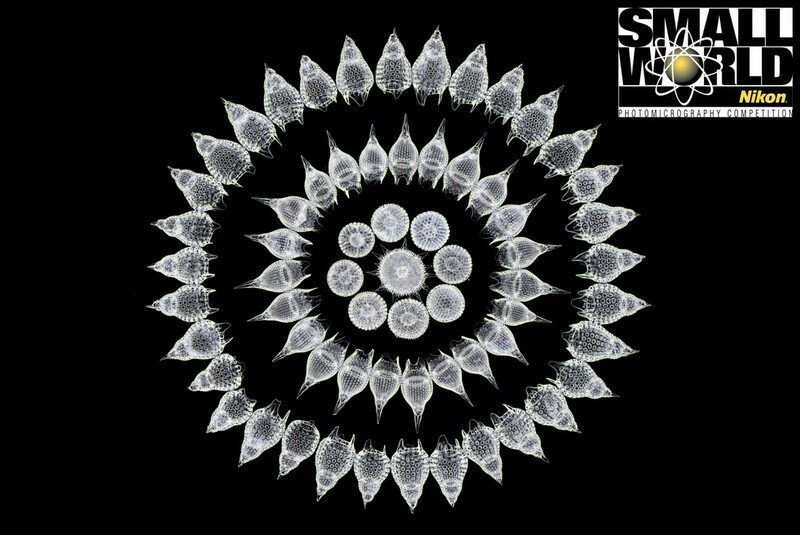 "Kunstformen der Natur" had a great impact on twentieth-century art and architecture and Haeckel's Radiolarians helped to show that art and science can be friends. Radiolarians are a component of the sea zooplankton and a quote from the old book "Nature trough microscope and camera" by Richard Kerr (1909) is useful to describe their immense beauty: “When a number of these fossil forms are placed under the microscope, they will be found to be a thing of beauty and a joy for ever. It is no exaggeration to say that sermons have been preached which have been prompted or suggested by a microscopic view of these matchless and exquisitely beautiful organisms part of Nature’s building material. And why not ? Nature is the ‘ other book,’ and the more both books are thoroughly understood, the more they will be found to harmonise. 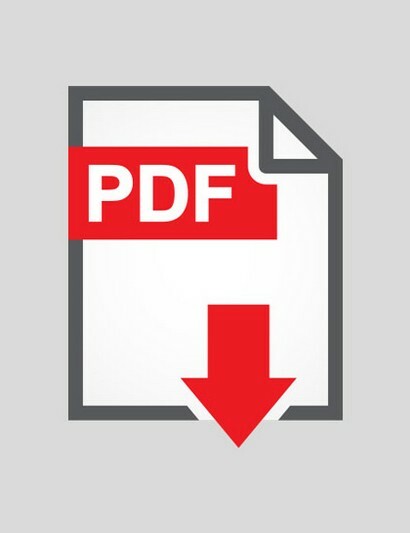 I recommend the polycystina to all grades of thinkers, to scholars of every school of research, to divines, to philosophers, to teachers of youth, to leaders of thought, with the full confidence that the study of these almost invisible relics of life will impress their minds with the grandeur of Nature, the marvels of geology, the possibilities and the potentialities of mere specks of flint. And their influence is not likely to end even there". The list below represents deposits and localities of Radiolarians that are currently stocked in large amounts (the many smaller samples are not included). Diatom Lab doesn't sell raw samples, but microscope slides prepared with these samples.